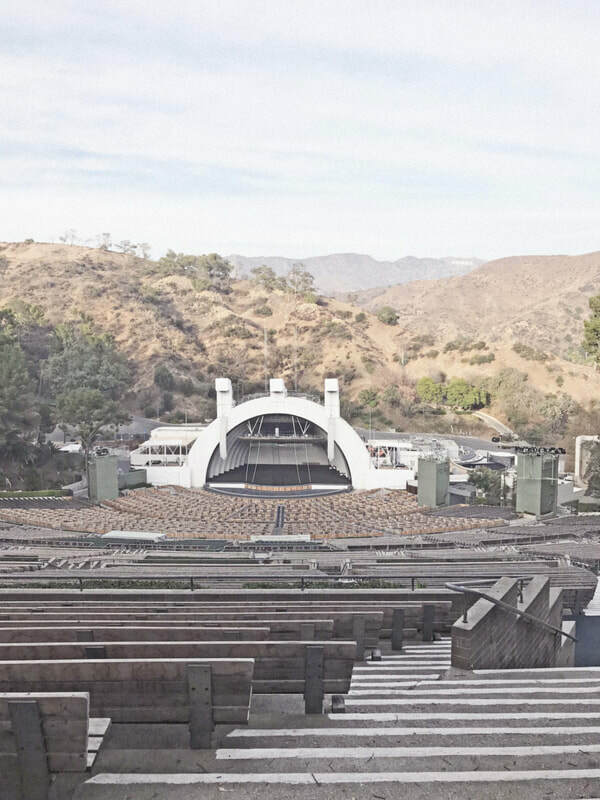 Hollywood Bowl welcomes Roofless Painters for a day of Plein air Painting. 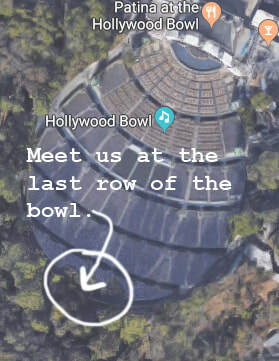 The Hollywood Bowl is at 2301 N Highland Ave, Los Angeles, CA 90068. Drive through the Hollywood Bowl entrance on Highland. 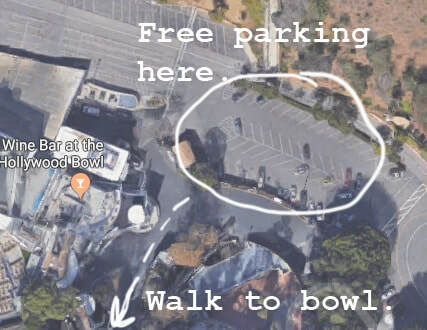 Drive up to the parking lot closest to the bowl. Parking is free. Access bowl trough gate. Walk up to meeting point: last row of the bowl. 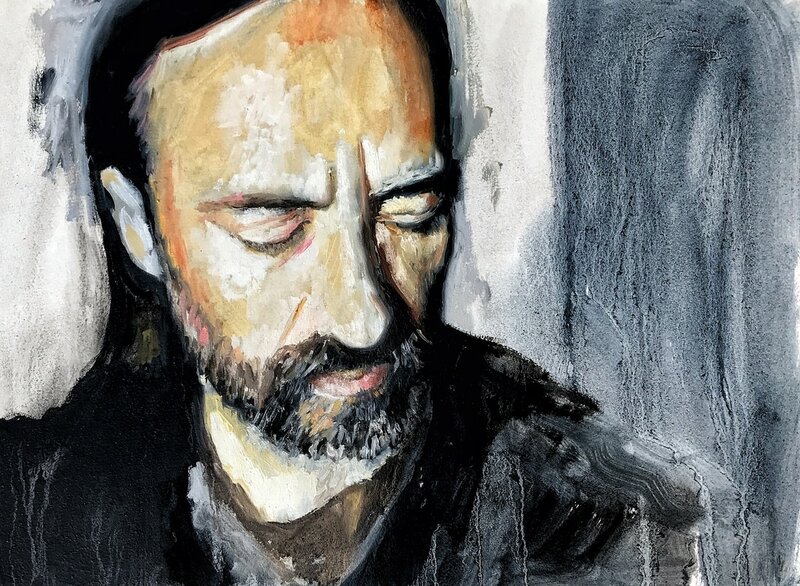 Layered clothing that you don't mind getting paint on. Authorization to paint inside the bowl. The "bowl" refers to the shape of the concave hillside the amphitheater is carved into. 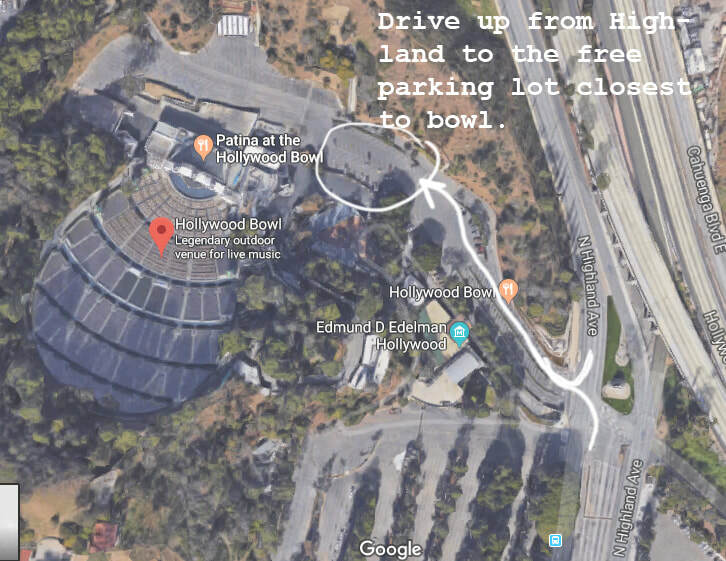 The bowl is owned by the County of Los Angeles and is the home of the Hollywood Bowl Orchestra, the summer home of the Los Angeles Philharmonic and the host of hundreds of musical events each year. The Bowl officially opened on July 11, 1922.